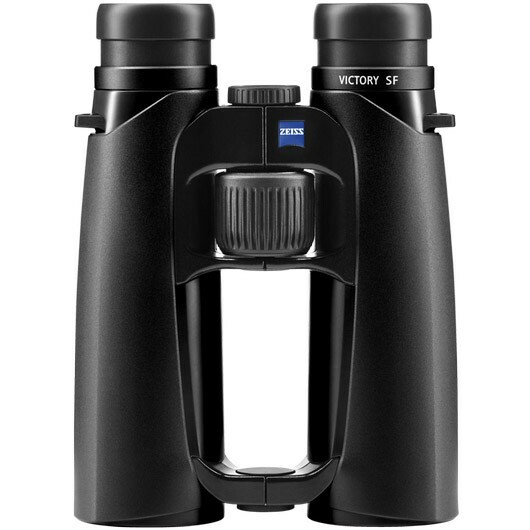 Rediscover the world of birdwatching with the Zeiss Victory SF. You can experience every spectacle nature has to offer with brilliant optics and an unparalleled wide-angle field of view. Thanks to its light weight, unique ergonomic design and dynamic fast-focus feature, the Victory SF allows for hours of relaxing birding without fatigue. The Victory SF is the new benchmark for birding and wildlife observation. 8x42 stands for a maximum overview and fascinating, high contrast images. With a field of view of 148m /1000m, the 8x magnification offers the widest, most natural view. The seven-lens eyepiece delivers extremely sharp focus all the way to the edges. At moderate magnification, it enables long observations with unparalleled steady images. The balanced weight distribution and ergonomic grip make these binoculars easy to hold, ensuring no bird or game goes unseen. A transmission rate of 92% and large exit pupil measuring over 5 mm reveal details even in dark shadows or the dim light of dusk. See and experience more of nature with the Zeiss Victory SF 8x42 binoculars.